Just back from the Romance Writers of America annual conference. What a wonderful time! Incredible weather, even more incredible people. I hope to get my pics in order and to blog the conference tomorrow, but for today, I wanted to mention some great new releases for the past and present week. 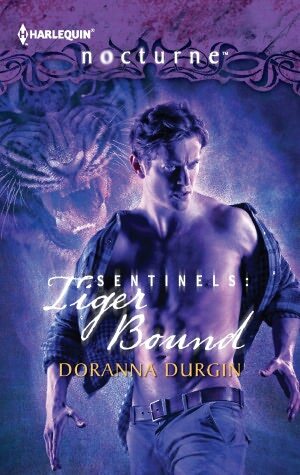 Cover Copy: Like the Siberian tiger he can transform into, Maks Altán is a strong, ferocious fighter who’s incredibly protective of his Sentinel kin. But thanks to a debilitating injury, he feels anything but fierce. That is, until he is sent to guard Katie Maddox, a gorgeous healer who awakens a dangerous lust within him. Problem is, in the shifter world, Katie’s deer alter ego is easy prey…and much too tempting for Maks. As unnamed danger lurks just beyond her awareness, Katie has doubts—about her abilities, her role in the Sentinels and the strange desire she feels toward her new protector. But somehow, the wounded predator and his wary prey must ignore their instincts, their fears and their dangerous attraction to each other in order to defeat their common enemy! This is a fabulous chance to read two books by award-winning author Beth Cornelison for the price of one. This volume collects two Black Ops romances: THE REUNION MISSION and TALL DARK DEFENDER into one volume! 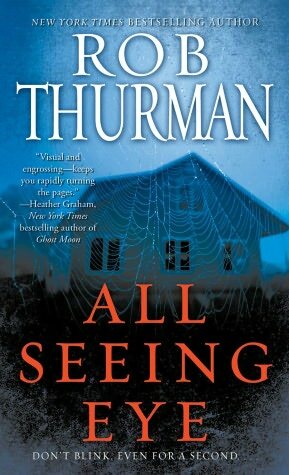 Cover Copy: The New York Times bestselling author of the Cal Leandros series delivers a bold new supernatural thriller where one man’s extraordinary abilities come with an equally phenomenal cost. Picking up a small, pink shoe from the grass forever changed young Jackson Lee’s life. Not only did its presence mean that his sister Tessa was dead—murdered and stuffed in the deep, black water of a narrow well—but the shoe itself told him so. Tessa’s death triggers an even more horrific family massacre that, combined with this new talent he neither wants nor can handle, throws Jack’s life into a tailspin. The years quickly take him from state homes to the streets to grifting in a seedy carnival, until he finally becomes the cynical All Seeing Eye, psychic-for-hire. At last, Jackson has left his troubled past behind and found a semblance of peace. That is, until the government blackmails him. After Jackson is forced to help the military contain the aftermath of a bizarre experiment gone violently wrong, everything he knows about himself will change just as suddenly as it did with his little sister’s shoe. And while change is constant . . . it’s never for the better. I’m so pleased to announce that James A. Hetley’s classic and critically acclaimed Celtic fantasies are now in digital! You’ll really want to check out these two novels in his Wildwood series. Cover Copy: Maureen Pierce works the night shift in a convenience store, carries a .38 Smith & Wesson in her pocket, and talks to trees. She knows enough clinical psychology to think that when the trees answer, it proves she’s crazy. She can live with that. She manages to get by in a world where she doesn’t really fit, until the truth reaches out to touch her as she slogs home through the slushy midnight sidewalks of a February sleet storm. That truth offers a seductive promise of warmth and sun, green growing things and trees that really do answer when she talks to them. It tells her that she isn’t truly human. Now her blood heritage drags her from Maine into ancient myth three steps away from the modern world, with all the claws and teeth and cruelty intact. Camelot is dead. Arthur is dead. Law is dead. Power rules the Summer Country of Celtic myth, behind the Old Blood faces of beast-master Dougal, dark witch Fiona, and her cunning, treacherous twin brother Sean. Their plots entangle and threaten Maureen’s sister Jo, Jo’s human lover David, and Brian Albion — the enigmatic Old Blood knight of the warrior Pendragons, who Maureen trusts about as far as she can throw him. 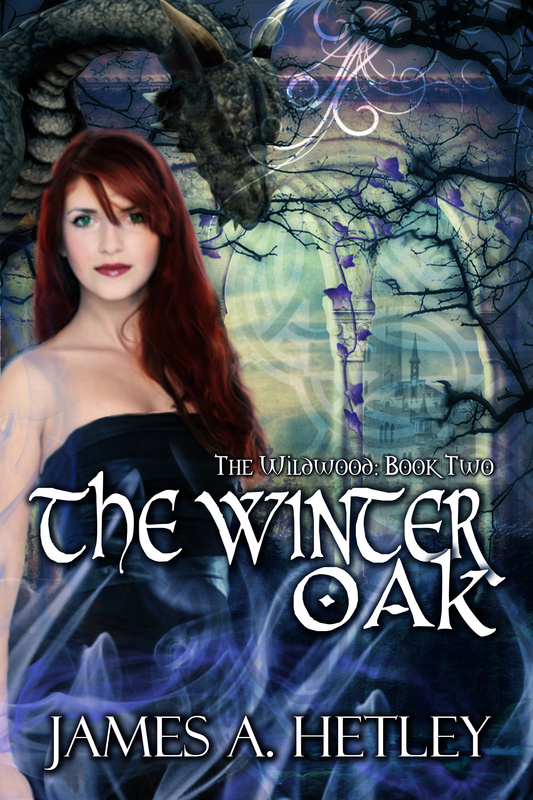 Maureen can become either a slave or a mighty witch, but her own dark past may be her worst enemy. Cover Copy: “Happily ever after” doesn’t always work, even in fairy tales. 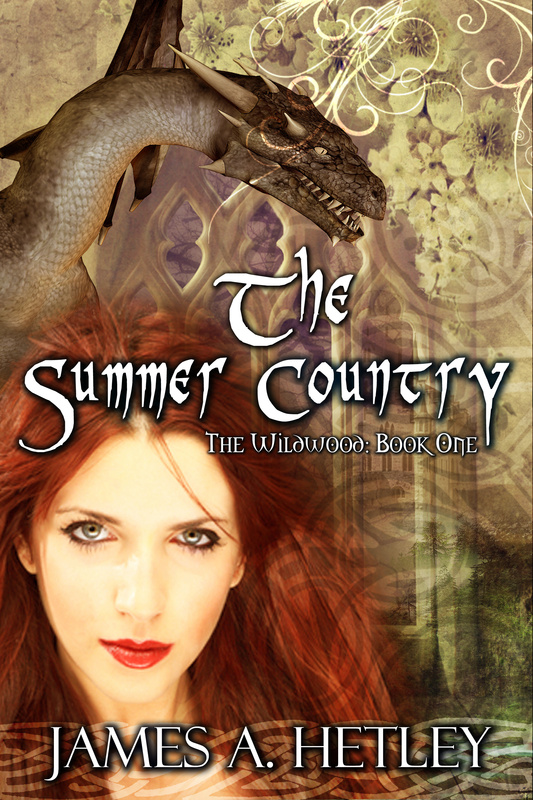 Maureen Pierce has won her castle, her man, and her powers, after terrible suffering in THE SUMMER COUNTRY. She has won a host of fierce enemies as well — among them, the powerful dark witch Fiona and the deadly black dragon Khe’sha, who plot vengeance. Many of the Old Blood fear the change that she brings to the Summer Country of Celtic myth, and the warrior Pendragons believe that her lover, Brian Albion, has betrayed their secrets. If that wasn’t bad enough, Maureen hates her castle for the pain she suffered there. She fears her new-found powers. The ghosts of old trauma still haunt her and those close to her — Brian, her sister Jo, and Jo’s lover, the human bard David. Against that, Maureen has the love of the Wildwood, the tangled, dangerous, above all magical forest surrounding the castle she won. She and those with her have honor — a strange and rare and powerful concept in the Summer Country. Holding her place turns out to be as hard as winning it, and she’s going to need help. Sometimes, that can come from where it’s least expected.